A fiber optic connector works to terminate the end of an optical fiber, as the name indicates, it is generally adopted to join optical fibers where a connect or disconnect capability is required. The connector mechanically couples and aligns the cores of fibers to enable light passing from one fiber to another. Fiber optic connector is widely employed to connect equipment and cables. Besides, it also captures an essential position when cross-connect cables are required. As an indispensable component in cable installation that can affect the performance and reliability of the whole system, the cleanliness of fiber optic connector cannot be ignored. This article aims to raise the awareness of connector cleaning and offer some constructive suggestions . It is important to know the fact that every fiber optic connector should be inspected and cleaned before mating, because a clean fiber optic connector is a necessary requirement for quality connections between fiber optic equipment. And One of the most basic and important procedures for the maintenance of fiber optic systems is to clean the fiber optic equipment. However, any contamination in the fiber connection can cause failure of the component itself, or even worse, failure of the whole system. 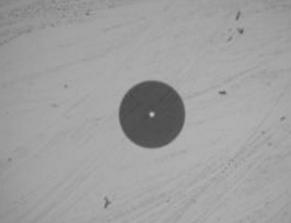 In addition, even microscopic dust particles can cause various problems for optical connections. 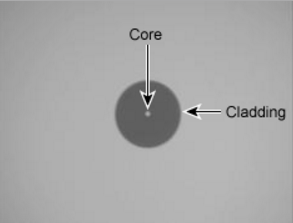 A particle that blocks the core, either partially or completely, could generate strong back reflections, which can cause instability in the laser system. 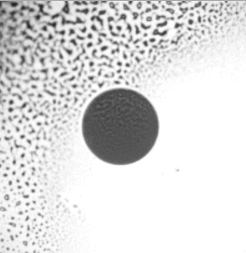 Dust particles trapped between two fiber faces can scratch the glass surfaces. Even if a particle is only situated on the cladding or the edge of the endface, it can cause an air gap or misalignment between the fiber cores which significantly degrades the optical signal. Besides dust, there still exists other kinds of contamination such as oil, human touch, film residues, vapors in the air and so on, which are proved to be more difficult to remove than dust particles. If not removed properly, they may also result in great damage to equipment. Contaminated fiber optic connectors can often lead to degraded performance and costly, but preventable failures. So, to ensure proper performance and reliability, care must be taken with the installation and maintenance of fiber connectors. Cabling industry best practices recommend that both field and pre-terminated connections should be inspected and cleaned prior to mating to other connectors or equipment. 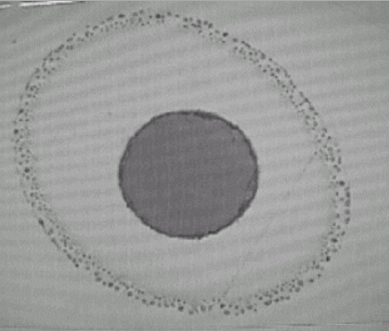 Figure 1 shows a clean single mode ceramic endface. 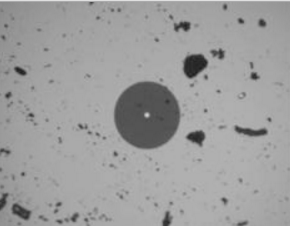 Figure 2 shows a connector with dust particles spread across the surface of the endface that needs cleaning. 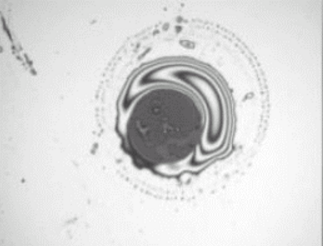 Figure 3 shows a connector with liquid contamination that needs cleaning. Figure 4 shows a connector with alcohol residue that needs cleaning. Figure 5 shows a connector with a dry residue that needs cleaning. Figure 6 shows a connector with an oil residue that needs cleaning. Dry cleaning: Optic cleaning without the use of any solvent. Wet cleaning: Optic cleaning with a solvent. Typically IPA (isopropyl alcohol). Non-Abrasive cleaning: Cleaning without abrasive material touching the fiber optic connector end face. Examples are air dusters or pressured solvent jet used in automated in-situ connector cleaners. Abrasive cleaning: The popular lint free wipes, reel based fiber connector cleaners and optic cleaning swabs such as the sticks are all abrasive cleaning types. Step 1: Clean the fiber optic connectors with a dry cleaning technique. Step 2: Inspect the connector. Step 3: If the connector is dirty, repeat the dry cleaning technique and inspect the connector again. Step 4: Clean the connector with a wet cleaning technique if it’s still dirty. Step 5: Inspect the connector again. Step 6: Repeat these steps until the connector is clean. If you are using resealable containers, you should store the end caps in separate containers and store all of the cleaning tools as well. The inside of the containers should be clean and the lid should be kept tight to avoid contamination. Do not allow the cleaning alcohol to evaporate slowly. This may leave a residue on the cladding or fiber core. It is often difficult to clean and can be more difficult to remove than the original contaminant. As the demand for increased bandwidth, more data and better quality audio/video grows rapidly, the use of fiber optics around the globe has increased greatly. That need for more and better data means more fiber optic cable and more high density, reliable optical connectors. It is thus nature that cleaning consideration is the number one issue in fiber optic cable technology today, with the proper method and process implemented in connector cleaning, the fiber optic connector will perform flawlessly for years in your fiber cable infrastructure. FS.COM provides cost-efficient and high-quality fiber optic cleaners that ensure you high-performed fiber connector cleaning. Supported by large quantities of products in stock, you can enjoy really fast delivery in FS.COM. For more detailed information, please visit www.fs.com or contact sales@fs.com. This entry was posted in Fiber Optic Tools and tagged Fiber connector cleaning, fiber optic connectors on May 20, 2016 by Aria Zhu. It is generally accepted that splicing is often required to create a continuous optical path for optical pulses from one fiber length to another. Thus, relevant skills and knowledge of fiber optic splicing methods have become increasingly essential to any company or fiber optic technician specialized in telecommunication or LAN and networking projects. Under some circumstances, fiber optic cables may need to be spliced together to ensure better performance, such as to achieve a connection of a certain length, or just to repair a broken cable. For example, the maximum lengths of a fiber optic cable is up to about 5 km, then two fiber optic cable need to be spliced together to achieve 10km lengths of data transmission. This article aims to describe some basic elements related to optical fiber splicing thus to provide useful information about it. Just as the name indicates, fiber optic splicing serves as a method to join two optical fiber together due to some necessary reasons. Fiber optic splicing typically lead to lower light loss and back reflection than termination, making it a relatively preferred method when the transmission distances are too long for a single length of fiber or when one have to joint two different types of cable together, such as a 48-fiber cable to four 12-fiber cables. Besides, splicing is also used to restore or repair fiber optic cables when a buried cable is accidentally broken or damaged. Basically, there exist two fiber interconnection methods: one is fusion splicing and the other is mechanical splicing. If you are just beginning to splice fiber, you might need to look at your long-term goals in this field in order to choose which technique best fits your economic and performance expectations. Fusion splicing remains to be one of the most widely adopted permanent technique to joint optical fibers, which contains the process of fusing or welding two fibers together usually by an electric arc. The popularity of this kind of splicing method is resulted from the lowest loss and least reflection it offers. Moreover, it also provides the strongest and most reliable joint between two fibers. Fusion splicing can be achieved by a specialized equipment called fusion splicer that generally involves two functions: aligning the fibers and then melting them together. 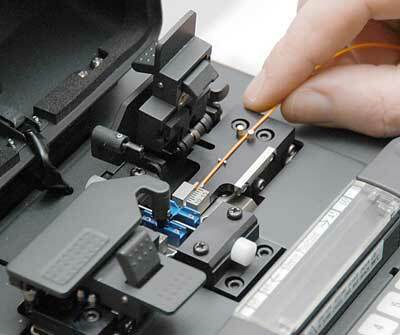 Mechanical splicing, on the other hand, is simply aligned and designed to hold in place by a self-contained assembly. Two fibers are not permanently joined, just precisely held together to enable light to pass from one fiber into the other. Mechanical splicing are especially popular for fast, temporary restoration or for splicing multimode fibers in a premises installation. Meanwhile, they are also used as temporary splices for testing bare fibers with OTDRs or OLTSs. Mechanical splices generally have higher loss and greater reflection than fusion splices, but they do not need an expensive machine to fulfill the splicing tasks. All needed are just a simple cleaver and some cable preparation tools. Sometimes, a visual fault locator(VFL) may help to optimize some types of splices. Both of fusion splicing and mechanical splicing consist of four basic steps, and for the first two steps, these two splicing methods are relatively the same. They only differ from each other in the last two steps. Step 1: Preparing the fiber- Striping the protective coatings, jackets, tubes, strength members, etc. leaving only the bare fiber and keeping it clean. Step 2: Cleaving the fiber-Using a good fiber cleaver is essential to ensure a successful fusion splice. The cleaved end must be mirror-smooth and perpendicular to the fiber axis to obtain a proper splice. Step 3: Fusing the fiber-Two steps involves in this step: alignment and heating. Alignment can be manual or automatic depending on what equipment you have. Once properly aligned the fusion splicer unit then uses an electrical arc to melt the fibers, permanently welding the two fiber ends together. Step 4: Protecting the fiber-Protecting the fiber from bending and tensile forces will ensure the splice not break during normal handling. A typical fusion splice has a tensile strength between 0.5 and 1.5 lbs and will not break during normal handling but it still requires protection from excessive bending and pulling forces. Using heat shrink tubing, silicone gel and/or mechanical crimp protectors will protect the splice from outside elements and breakage. Step 1: Preparing the fiber -Striping the protective coatings, jackets, tubes, strength members, etc. leaving only the bare fiber and keeping it clean. Step 2: Cleaving the fiber-The process is identical to the cleaving for fusion splicing but the cleave precision is not as critical. Step 3: Mechanically join the fibers-No heat is needed in this method. Simply position the fiber ends together inside the mechanical splice unit. The index matching gel inside the mechanical splice apparatus will help couple the light from one fiber end to the other. Older apparatus will have an epoxy rather than the index matching gel holding the cores together. Step 4: Protecting the fiber-The completed mechanical splice provides its own protection for the splice. From what discussed above, we can figure out that these two types of fiber optic splicing methods obtain their advantages and drawbacks. Whether to fusion splicing or mechanical splicing in fact depend greatly on several elements, such as transmission distance, signal loss and reflection requirements. For most telecommunication and CATV companies, they incline to invest in fusion splicing for their long haul single-mode network. While in terms of shorter, local cable runs, they still prefer mechanical splicing. However, since signal loss and reflection are minor concerns for most LAN applications, either of these two methods can be equally employed in the LAN industry. This entry was posted in Fiber Optic Tools and tagged Fiber optic splicing, fusion splicing, mechanical splicing on May 12, 2016 by Aria Zhu.